Do you or you Hi-Fi require Audio Therapy? If you have a hi-fi system which is skipping a beat, sounds boring and lifeless or is aggressive and fatiguing it could be that your system requires a little Therapy to ensure that it is performing to the best of its ability. The vast majority of people who have a good hi-fi system will never hear it sound anywhere close to its full potential, yet many are simply unaware of this fact and listen to their systems without ever realising what can actually be achieved. Many hi-fi enthusiasts are continously on the upgrade path, ever seeking “audio nirvana”. This can be an expensive journey as people lose money on part exchange deals and trade equipment in without ever hearing it sound anywhere close to it’s potential! There’s something incredibly gratifying about taking an existing system and squeezing as much performance and music out of it as possible. You would be suprised how much further you can take a system! Why are you not hearing your system to it full potential? There are a number of reasons why your hi-fi will not be performing to the best of it’s abilities, the specifics of how and why can vary quite dramatically from system to system, but it’s not surprising to find a system which is being held back by some if not all of the observations below. 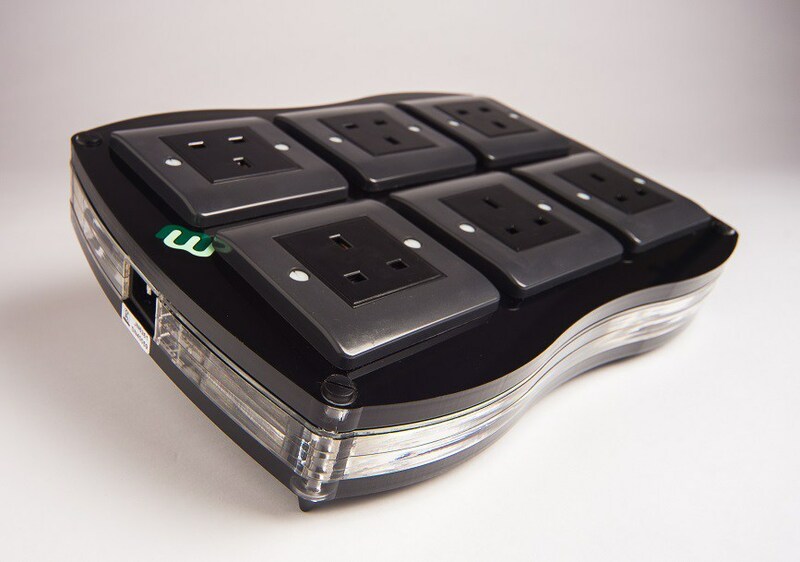 Mains current goes in and goes out of devices and today we have more items plugged in at home than ever before. All of these make the mains noisy, especially computers with their switched mode power supplies. 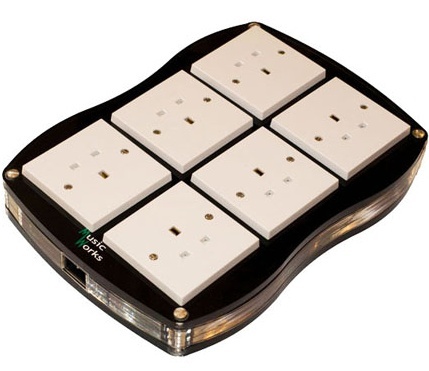 Mains chargers for mobile telephones and tablets, routers, lighting, dimmer switches, fridges etc. 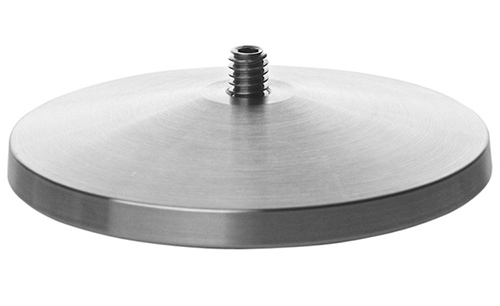 also of these cause a great deal of high-frequency noise and stray voltages. These stray voltages can find your hi-fi as attractive paths to earth. Moreover, these stray voltages often generate very large magnetic fields that have a massive negative influence on sound reproduction. Any component with a mains transformer will have noise injected into the signal path which will mask finer details, muddy dynamics and reduce the emotion and expression a system can deliver. Some of this can be generated from a noisy mains transformer in the device itself and some of it will be generated externally and picked up via your hi-fi; either way it is not good for your music! You obviously can’t hear this noise when you listen to your system, but if we can remove the noise from the signal path, you’ll be able to hear so much more of the music and your system will become more natural, detailed and musical. What your Hi-Fi sits on has a massive influence on the sound it produces! 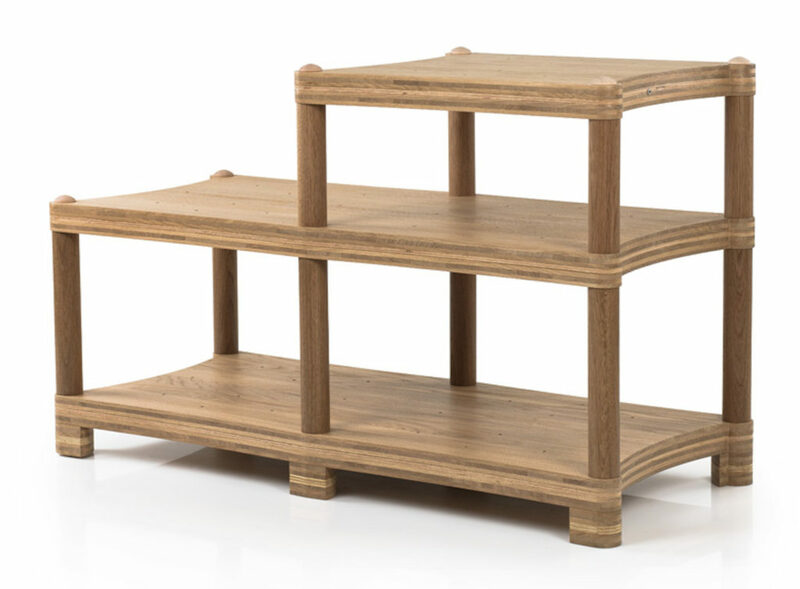 Over the years I have seen hi-fi systems presented in a wide variety of ways: dedicated equipment stands; TV stands; sideboards; precarious home made shelving units and kitchen counter-tops, everything you can think of really! Take your typical hi-fi stand – 4 or 5 glass shelves with a metal frame to support the shelves. Glass shelves can give a system additional drive and attack and can often make a system sound a little ‘shouty’ with the higher frequencies. If you have a system which is already on the forward side of neutral you can often find the system sounds fast and really exciting to listen to for about an hour, then it starts to become fatiguing and you need a break. It’s an incredibly common problem. Wooden shelves are generally less bad than their glass counterparts, but they can be guilty of sucking the life out of the music and over-deadening the presentation. Another common problem is where speakers are installed using the supplied spikes that are not fitted correctly so the speaker is not stable and level to the floor. This allows bass response to become slow and ponderous, interacting heavily with the room and taking away from the finer details of the music. Suspended wooden floors are commonplace in the UK and are one of the worst culprits for this. 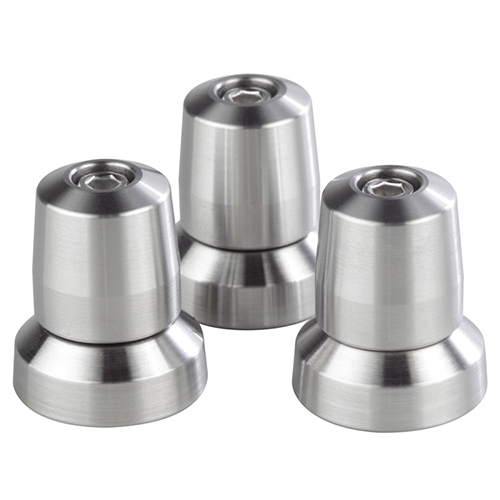 Replacing these spikes with proper isolation will dramatically improve the speakers’ ability. Even when fitted correctly the manufacturers supplied spikes will never allow a speaker to perform anywhere close to its potential! As outlined above, you buy a system, use it, enjoy it and live with it and you don’t realise that there is more performance being held back. Free the system of its constraints and you’ll get a massive upgrade in performance! The same system with better music! Of course, any upgrades you make can easily be transferred to your new speakers or electronics as and when you change them. I bought this system or cable based on 5 star reviews but I don’t like it!! One frequent issue I come across is someone who has bought themselves a hi-fi based entirely around 5 star/award winning reviews. If you buy a system this way surely you can’t go wrong? You’re going to end with a musically rewarding system that you can listen to for hours at a time, right? This is not the case unfortunately, and in many instances it couldn’t be further from the truth! 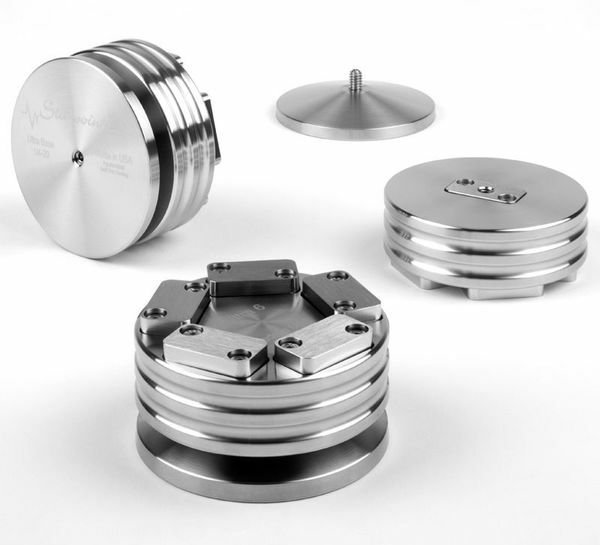 Each individual award winning component will no doubt sound good, in the right system. But in the wrong system they can sound disjointed, uninvolving and often fatiguing and forward. This is where the knowledge and expertise of a good dealer with years of experience of system building comes into its own. The synergy of a system, the correct interconnects, speaker cables, power cables and isolation all play a part. In many instances it can be as simple as changing an interconnect or speaker cable and the system just clicks. In some cases you may find the overall sonic trait of a system is so heavily influenced by one particular component and the only way to get around it is to trade it in for another model, it’s never the same scenario twice! An inexpensive system set up correctly with care and the right components/cables/accessories will easily outperform a system costing much more money which is put together based on reviews alone and/or one that is poorly set up with the wrong combination of items. So, if you’ve a system which is sonically not ticking all of the boxes for you or maybe you’re tired of forever part-exchanging items and trying all the wrong cables get in touch and arrange some Therapy! Even if you have a system you enjoy and are happy with there will still be scope to improve performance without having to change a single component. By listening to a system to evaluate its performance there are several key products that can be integrated into your system to unlock its potential. By adding an Entreq ground box to your system we can dramatically lower the noise floor, allowing previously hidden detail to be heard for the first time. The sound will become more natural, dynamic and engaging (even at low volume levels). 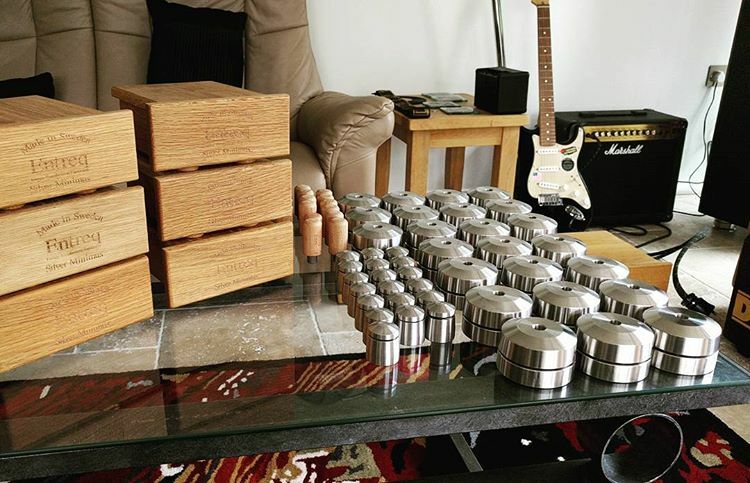 It will allow the music to effortlessly flow and is something I would seriously recommend as would many of my clients who use ground boxes in their systems with great success and enjoyment. 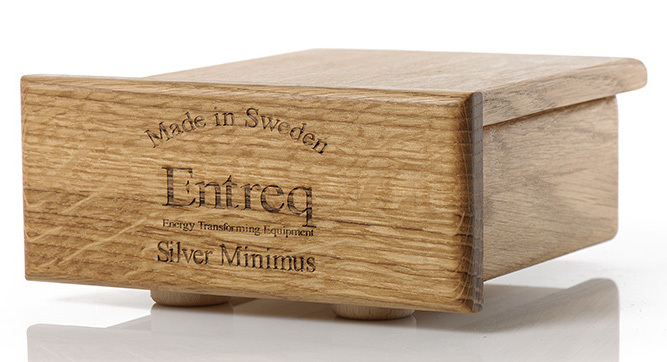 The Entreq range of ground boxes & ground cables, interconnects, USB cables, speaker cables, power cables and system accessories offer genuinely brilliant performnce and offer a superb upgrade path for your current system, which will stay with you regardless of what components you may change to down the line. 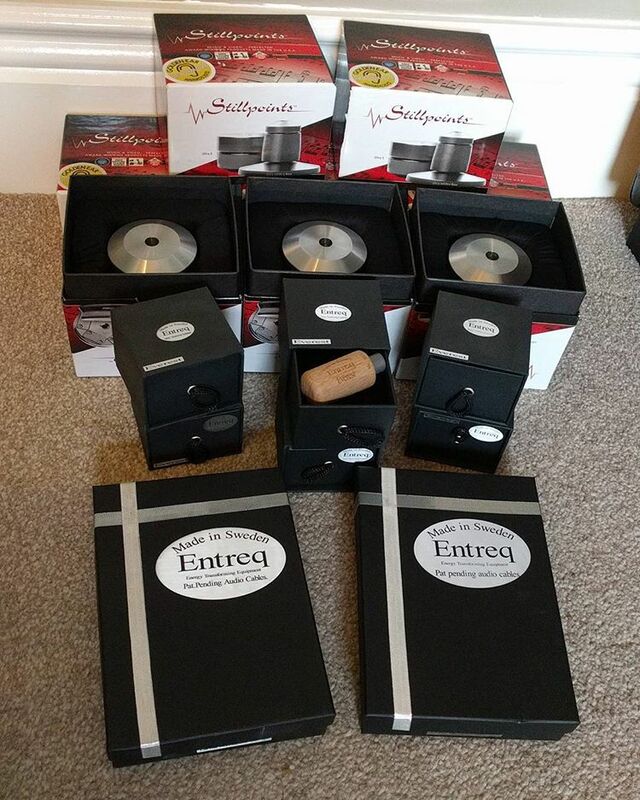 The whole Entreq range is easy to demonstrate within your own system and the price of admission to the club is relatively modest, the entry level ground box and ground cable is just £380.00. 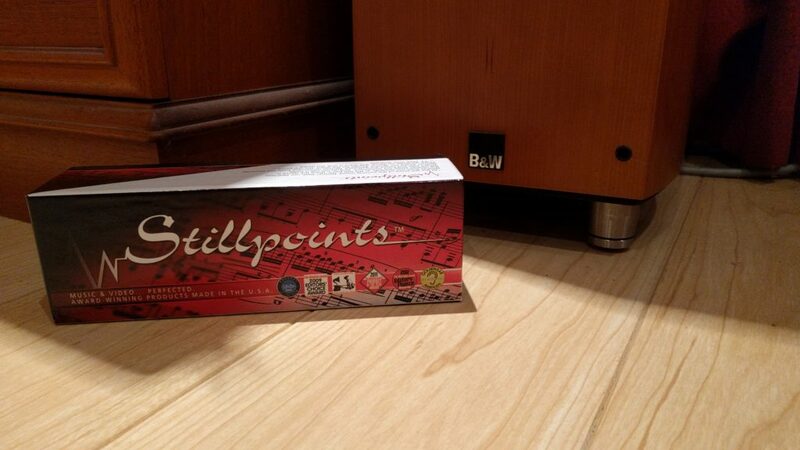 By adding some Stillpoints to your system you will effectively decouple those items from whatever they are sitting on, be it floorstanding speakers spiked on a suspended wooden floor, or a CD player on a glass shelf of a hi-fi stand. This will increase the dynamics of the system, without adding coarseness to the presentation and will allow you to hear more music much more naturally. I recently installed some Stillpoints under a pair of well known and highly regarded floorstanding speakers, installed on a wooden floor. The before and after difference was huge. One of the tracks this particular customer uses for reference has a great bassline. Before we put the Stillpoints on it sounded good, there was plenty of bass, it was relatively well extended. 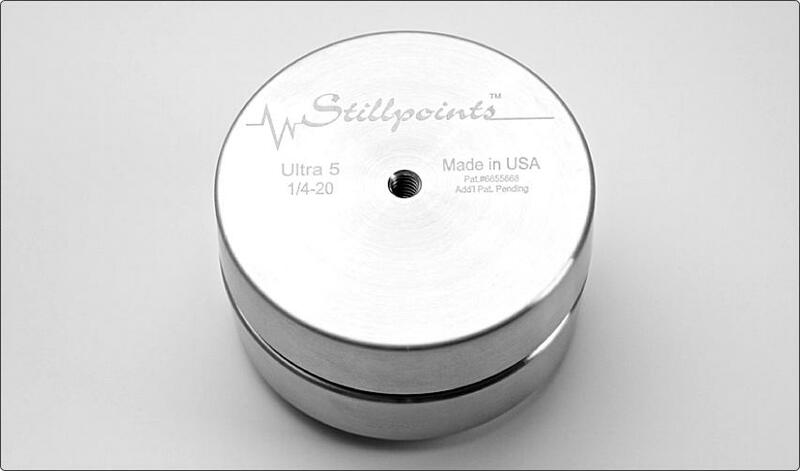 Once the Stillpoints had been fitted and adjusted it took about 10 seconds of playback before the customer commented on what had happened. The bassline had developed texture and grace, you could hear the bass player playing down the guitar, whereas previously the bass sounded ponderous and a bit ‘one-note’ in its presentation. Even the customer’s wife, who loves music but isn’t into hi-fi at all, heard the impact they made to the sound being produced pretty much as soon as she walked into the room, which is praise indeed! 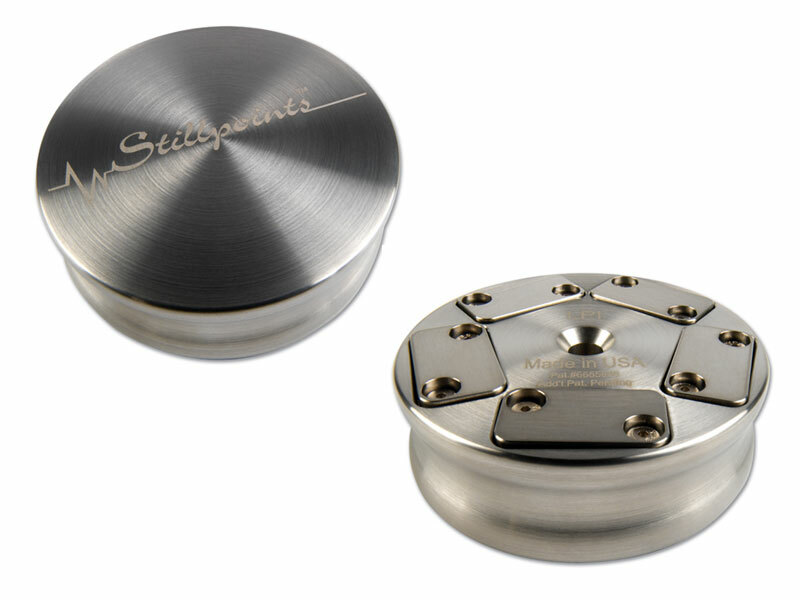 Don’t underestimate the ability of Stillpoints to transform your system! By removing the standard, free in the box, power cable and the ubiquitous mains extension block and replacing them with something from the Musicworks stable you will instantly get an upgrade in musical performance and communication. Even just adding one of the entry level blocks and power cables at £655, leaving all the other power cables alone, will dramatically improve what you hear. They remove a layer of harshness, improve tunefulness and let you hear more into the recording. Using the next cable up in the range on the block and replacing the free power cables on the components themselves results in immediate further improvements, giving you a bigger sense of space with better timing and harmonics. A brilliant upgrade and one which is relatively inexpensive in the scheme of things. Musicworks……they make the music really work! Tellurium Q cabling works brilliantly well, with 3 distinct different ranges of cables there is a solution to just about every requirement out there. If you have a system that sounds a bit dull and lifeless or one which is strident and aggressive there is a cable to fit the bill which will address the specific issue your system may have. 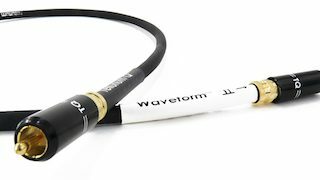 They are the first cables designed to combat phase distortion and because of this the end result is dynamic and detailed with real emphasis placed on coherence and rhythmic insight. 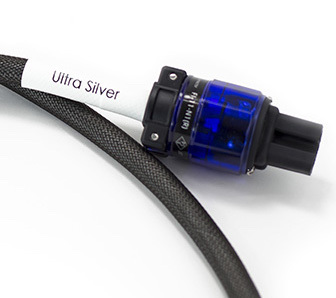 One incredibly popular speaker cable over the past 10-15 years is a copper based cable that has been coated in silver. It’s incredibly fast and detailed, verging on coarse and aggressive and it’s one I see fairly frequently. Replace this with some Tellurium Q Blue or Black (or beyond) and you’ll hear your system like never before. In the first instance, a conversation would be good! Fill in the contact form below, detailing what system you have, including cables and current equipment stand and how you currently find your system. If you’d prefer to speak to me directly, that’s no problem, pick up the phone, I’m always happy to talk to people! To arrange a home visit and system evalution with suggestions of what can be introduced to your Hi-Fi to improve its performance, please get it touch. If there’s anything specific you would like to hear please let me know. Using the right combination of items will make any system really sing and increase musicality, which products are relevant really depends on how your system currently performs and how you find it sonically. For example, a system which is really overly detailed and aggressively sibilant will benefit more from Entreq than Stillpoints. Ultimately this comes down to experience of knowing how the various brands I represent work together and what they sonically bring to the fore when you introduce them to a system. From experience I am confident that you will like the difference you will hear with some relatively small additions and changes to your system and from that point any additions can be made in a simple stepwise manner as ‘funds allow”. If you located in the north-east there is no cost to this service, if you are further afield I’m happy to travel but will have to charge for distance/time. This is dependant on location and what you want to listen to! Please get in touch. Unlock the potential in your Hi-Fi with Audio Therapy!